Almost 3 million Americans have low vision, according to the National Eye Institute. And, those numbers are expected to increase to more than 5 million by 2030 and close to 9 million by 2050. 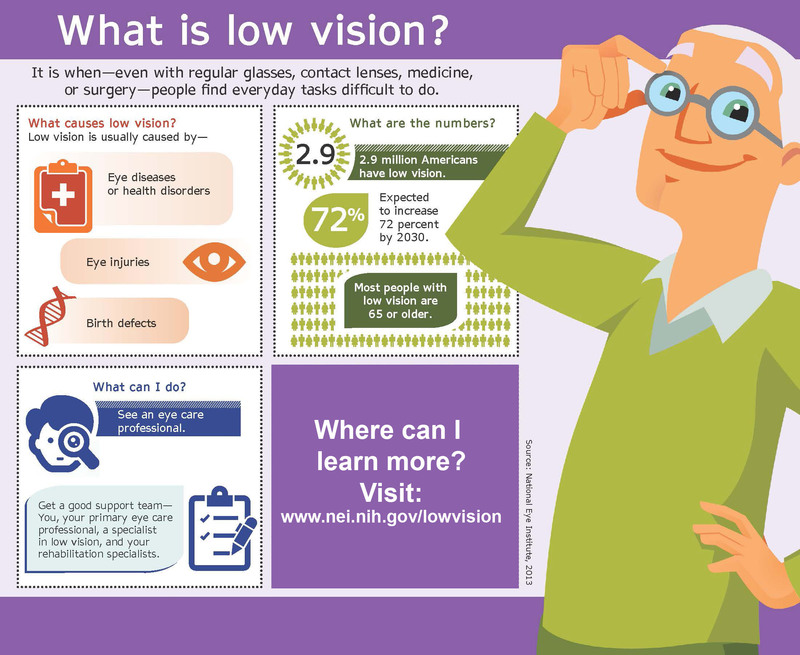 Low vision is defined as vision loss that cannot be corrected with eyeglasses, medicine or surgery. And, it may impact a person’s ability to do everything from working, driving, reading, or even walking safely around the home. Some people develop low vision over time due to aging eyes or a genetic propensity for a certain condition. Other people suffer sudden trauma to the eyes which can result in a loss of vision or vision impairments. A thorough examination by our doctors can test for low vision and help come up with an appropriate treatment plan. Treatment plans may include prescription glasses, specialized optical systems, therapeutic filters, non-optical options, video magnification, and/or medical rehabilitative therapy to maximize the ability to perform activities of daily living (ADL) such as self-care, dressing, grooming, eating, and bathing.